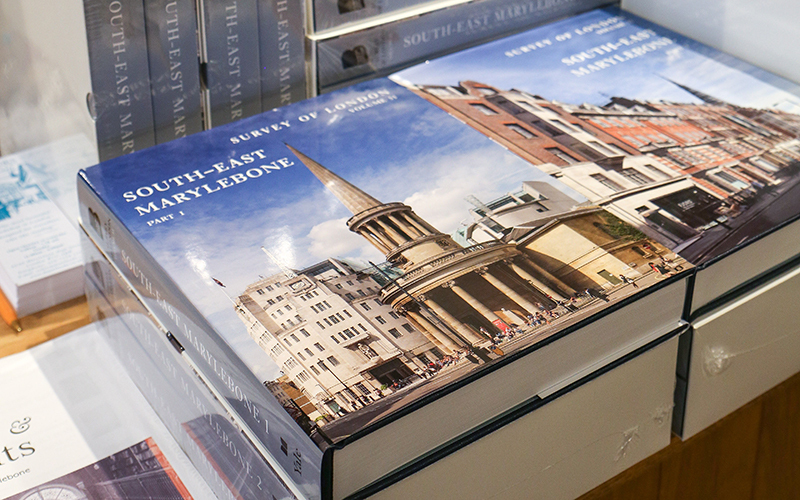 Earlier this month, The Bartlett’s Survey of London research group was awarded the Colvin Prize for their recent two-volume book, South-East Marylebone edited by Philip Temple and Colin Thom. The Colvin Prize is awarded annually by the Society of Architectural Historians of Great Britain (SAHGB) to the author of an outstanding work of reference on an architectural subject. The Survey of London is the leading reference work on the history of the capital and its buildings and is internationally acknowledged for its authority and accessibility. They produce detailed architectural and topographical publications of London’s built environment and became part of The Bartlett in 2013. It is a great privilege for the Survey of London to win this award. We are thrilled to have been nominated and selected for the prize by our fellow architectural historians of the SAHGB, who understand and appreciate the difficulties and complexities involved in producing a synthesis of the socio-economic and architectural history of this important and distinctive West End district.